If you’re sharing your smart home with a new techie-in-training (aka: a baby), then you no doubt are researching the best baby monitor solutions. Many smart home users wonder if they can use the popular Nest Cam as a baby monitor. 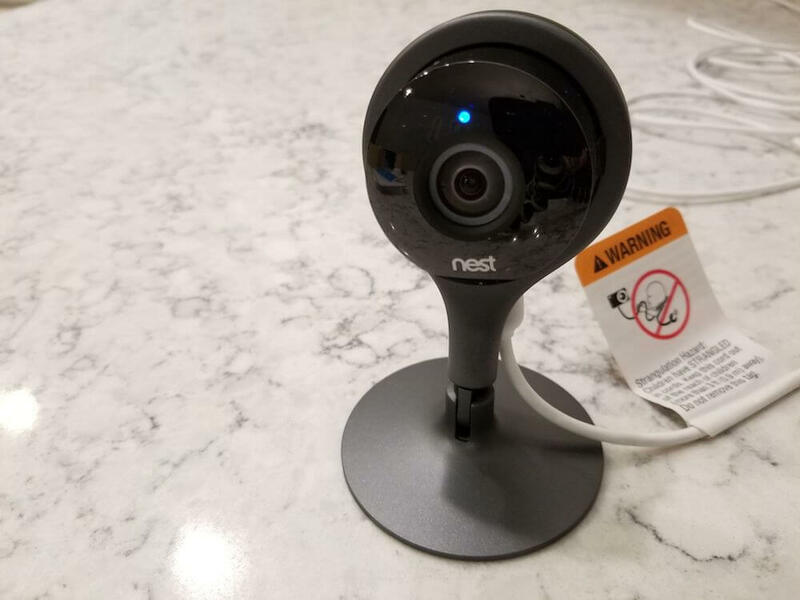 We’ll take a look at the features and limitations with using it as a baby monitor in our full Nest Cam baby monitor review. 1.4 Should You Use the Nest Cam as a Baby Monitor? You want to keep your eyes and ears on your little one at all times. Smart baby monitors provide a live glimpse during bedtime. 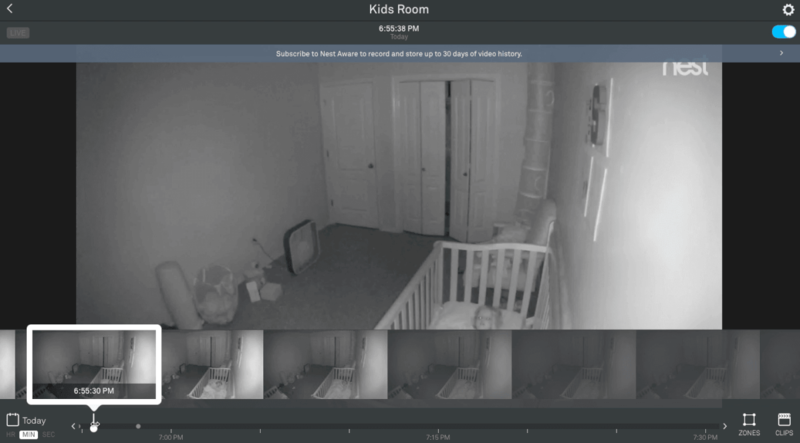 Using Nest Cam as a baby monitor has its strengths and limitations. It might not have all the bells and whistles (in this case, lullabies and night lights) of dedicated baby monitors, but it has other strengths not to ignore. Set up was a breeze. As someone who’s installed plenty of baby monitors and WiFi security cameras, I’ve had my fair share of complicated systems. This one was very easy to install. Pick a spot for installation. When installing for this Nest Cam baby monitor review, I selected a high shelf above my child’s crib. A mounting plate is also included if you want to mount it to your wall using a few (included) screws. The bottom of the camera is magnetic, making it easy to install it to any magnetic surface. Just note that the camera will need to be plugged in, so install it near an outlet. Download the app and connect. The Nest app sensed my plugged-in camera and had me input my WiFi password for quick connection. Test the two-way talk and change settings. Two-way talk and listen lets you listen and soothe your child. The only problem is that the default setting makes a chiming sound when you begin and end the two-way talk. 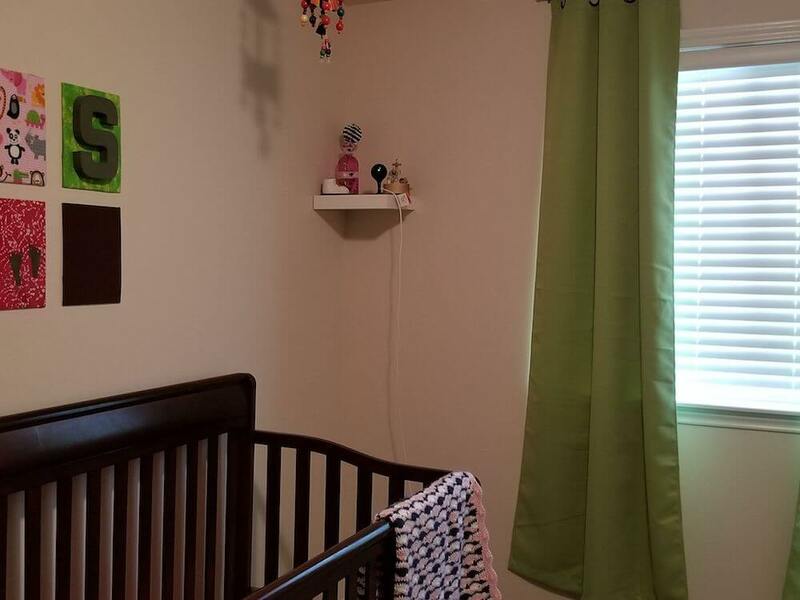 Fine for a family room camera, but I’d turn it off for your nursery. You can do this by selecting the camera in the app, then Settings, scrolling down to Talk & Listen, and turning off Chime. Turn off the status light. Under Device Options, you can turn off the status light for the camera so that it only illuminates when there is an error—otherwise, it will always be on. The infrared lights will continue to shine as long as you want night vision, but the status light is an extra light distracting your child that you don’t really need. Customize notifications. The phone will default to sending you email and push notifications whenever the camera sees anyone. In Settings, you can change the notifications to only push notifications, or turn them off altogether. If you want to receive alerts whenever your baby is moving, make sure you turn When to Send to Always. If No one’s Home is selected, then it will only notify you of movement whenever your phone leaves your home area. Establish motion zones. Got an oscillating fan? You can select specific zones to monitor motion for. Set up a motion zone for only your child’s crib in the mobile or web app to reduce your false alarms. Share the camera permissions. Whether sharing with your partner, friend, or family member, there’s no doubt that the added feature of sharing permission is fun for families who want to ohhh and ahhh at their little ones. Change other settings. 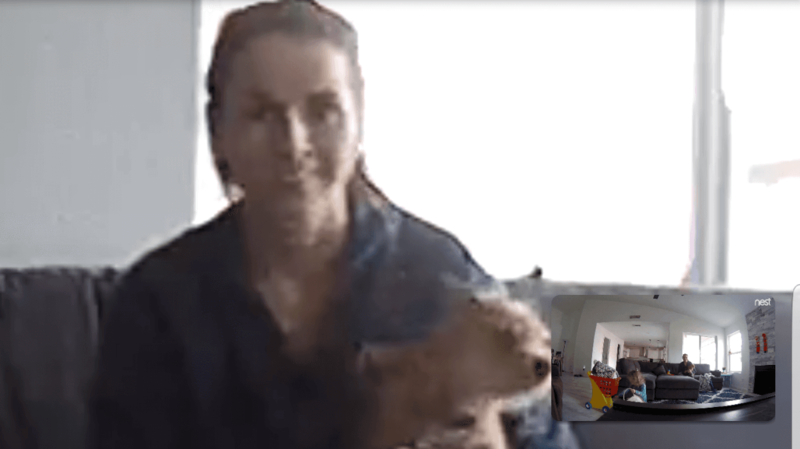 My Nest Cam baby monitor defaulted to medium video quality, which uses less bandwidth, but offers lower quality of footage. Make sure you customize this during setup. 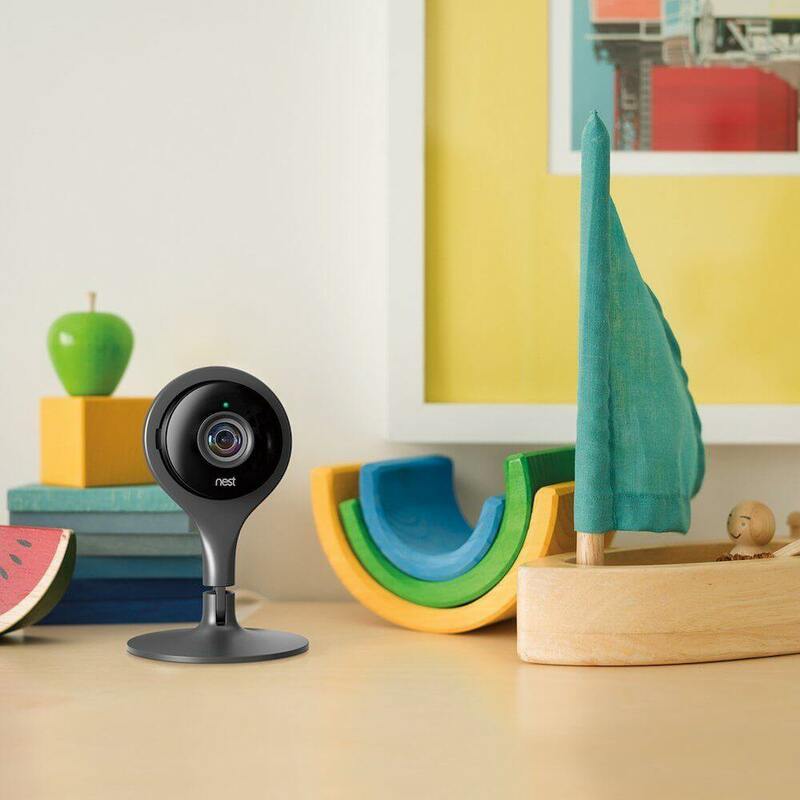 The Nest Cam has a number of built-in features that have led many to use this camera for watching their bundle of joy. Some of the features also come with drawbacks for those using Nest as a baby monitor. 8x digital zoom: great for taking a look at your little one’s face. We’ve all seen news articles about baby monitors getting hacked. While nothing is un-hackable, Nest Cam is one of the most secure WiFi cameras you can buy. Backed by Google, it’s supported with extremely secure software and Google’s Vulnerability Reward Program. It uses top-of-the-line AES 128-bit encryption and Transport Layer Security and Nest is very transparent about their security measures on their website. It’s no secret that a baby’s nursery is limited real estate. Toys, clothes, and diapers, take up all of the room. Mounting the Nest Cam at a high angle where it can look down on your baby’s crib is a great space-saving solution. Plus, it keeps the camera out of arm’s reach from curious hands. If you have family or close friends that miss out on everyday moments with your little one, then the Nest baby cam may be a great solution. Since the camera is accessible by multiple devices, loved ones far away can check in and watch your baby sleep, play, or yes, even keep you up at 3 a.m. This can also be a nice solution for a parent who is out-of-town or wants to check in on their baby with the nanny during a long day at the office. If you choose to install the Nest Cam baby monitor, then one benefit is that you have a ready-to-go sleek home security camera later. Move it downstairs as a nanny cam, or anywhere WiFi accessible within your home. Who doesn’t love multi-functional pieces of home technology? 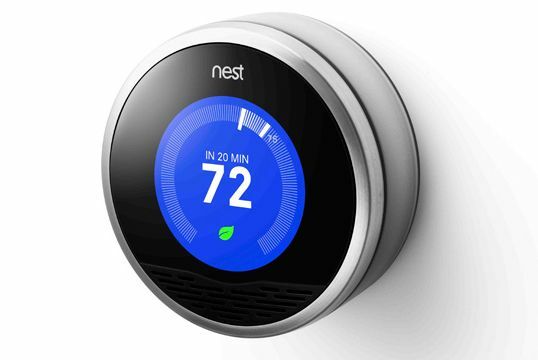 It also connects with the Nest ecosystem of thermostats and cameras, in addition to plenty of other smart home devices in the Works with Nest system. One interesting gadget connected to Nest cam is the Mimo, a baby wearable for sleep monitoring. When installing for this Nest Cam baby monitor review, I was impressed by the high quality of the camera and the app itself. 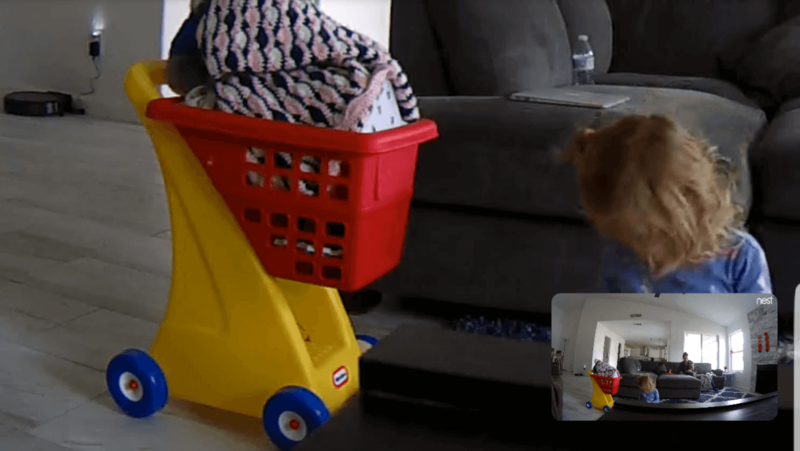 I’ve set up several WiFi cameras and baby monitors, but this was one of the easiest. The app was also straightforward, and Nest Aware makes it easy to scroll through the timeline of footage. The high quality of software also means less glitches, and I have experienced little or no cutting out when it comes to WiFi coverage. Receive instant notifications for sound or motion detection. You can expand this functionality with the Nest Aware subscription, which can distinguish a person, reducing your false alarms for pets, Roombas, and everything in between. Nest Aware also adds activity zones, allowing you to identify which areas to monitor and which to avoid. Two-way audio is of big benefit for parents wanting to use the Nest Cam as a baby monitor. If you hear your baby cry from down the hall, don’t hop out of bed right away– instead, use the talk and listen functionality to provide soothing reassurance through the Nest Cam baby monitor’s built-in speaker and microphone. Note that you’ll want to turn off the chime so that you can soothe your baby instead of scare or wake them up further. Paid cloud storage required. While the live stream is shareable with other users for free, viewing clips from cloud storage requires a monthly paid plan with Nest Aware. The plan starts at $10 per month for 10 days of video history. 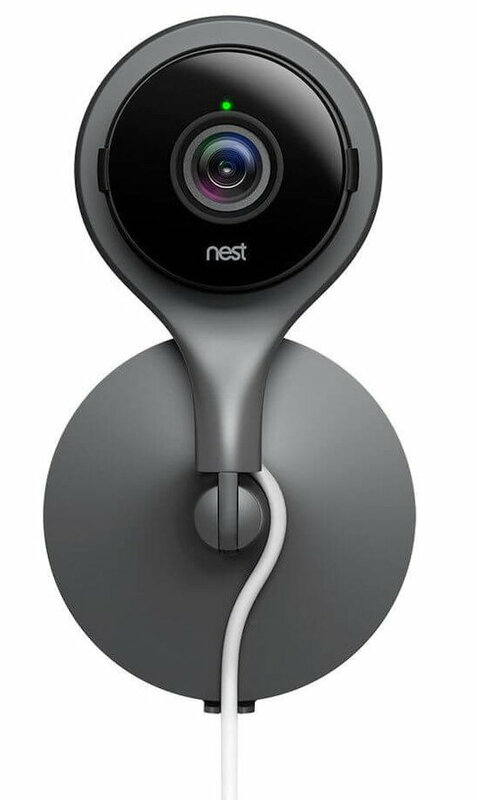 I’ve always considered this a big drawback of the Nest Cam, and why I’ve gone with Arlo Q as an alternative before. However, when testing Nest Aware during a 30-day trial, I was impressed with how intuitive and advanced the software feels. I can see why people would pay for Nest Aware, especially because it comes with extra features like person alerts and clip downloading. After the monthly trial, the has a free 3-hour look back, which provides snapshots of motion detected in the past few hours. The live stream is also always free, so if you aren’t interested in video history, you can cancel it after the trial period and won’t have to worry about fees. Sometimes laggy. While the specs for this unit state that the stream is continuous, some users report problems with a lagging feed, app crashes, and other stability issues. I personally did not experience these issues during testing, and found that the camera was never offline; but note that my camera was just 1 room away from my router, and I have pretty reliable internet. The only slight annoyance was the camera taking an extra second to load, but this wasn’t out of the norm for WiFi cameras. If your WiFi connection goes down, Nest Cam will stop streaming. That may not leave you with a lot of confidence if you’re relying exclusively on the app to hear your baby cry. But it also may not be a deal breaker if you are within earshot of your little one. Additionally, some users report better functionality by using the PC view to stream. You have to leave the app open for audio monitoring. If you want to use this like a traditional baby monitor, then it’s worth noting that the audio will only play if the app is open on your device. So, you’ll need to keep the app open on your smartphone or an extra tablet you own. This may be annoying at night, with a bright screen light shining by your bed. However, in my testing, I was happy to notice that the audio had very little white noise and worked great for overnight use, while my phone is charging. 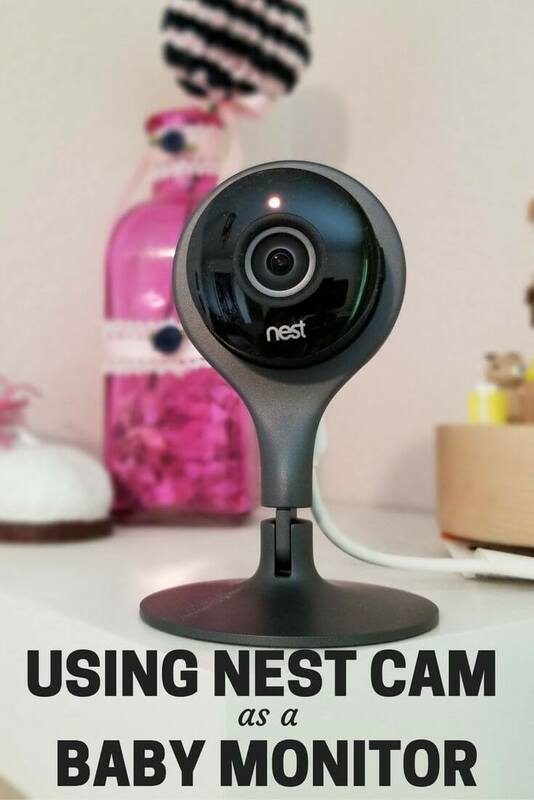 A commonly suggested solution from reviewers is to supplement the Nest Cam baby monitor with a cheap radio monitor for audio updates. This way, you can still check in on your little one with the video feed, but you won’t miss anything while making a phone call, checking your email, or surfing the web. You can also enable audio notifications, which send you an alert when the camera picks up audio. While you may not be actively listening all night, you can still get an alert if there is a noise (like a baby crying) and quickly check the feed to see what’s going on. Only sends notifications every 30 minutes. Nest Cam only sends video notifications every 30 minutes. This is a well-known fact in the Nest world and an intentional feature. I tested it myself and found 30 minutes to be accurate. While some may consider this to be a negative thing, it’s actually understandable, since on the Nest Aware plans there is a comprehensive timeline of footage. If you receive a notification and don’t see it until later, you can go back into the timeline and see how long your little one was jumping on the bed. No pan/tilt/baby monitor features. The camera can’t pan or tilt to view the entire room (although you can manually rotate as desired). It’s also missing other baby monitor features, like white noise, lullabies, and night lights. Some of these features are found in Arlo Baby and other WiFi baby monitors. But if you aren’t concerned about the bells and whistles and make sure to install the camera where it can view the entire room, Nest Cam is an excellent option. Note that while 8x zoom is available, zooming in on distant faces or objects makes the image more grainy, as you can see in the zoomed in footage below. Should You Use the Nest Cam as a Baby Monitor? Taking the above into account, you may be left with mixed feelings with this Nest Cam baby monitor review. While Nest Cam was not created to serve as a baby monitor, it’s still a solid choice for your baby monitoring system. It’s especially great when used for its live feed or alongside an inexpensive radio monitor. It isn’t a baby monitor in the traditional sense, but designed for watching your little one on a live stream through your phone. The Nest makes for a better baby monitor than actual baby monitors. For cameras designed specifically for babies, check out products like iBaby, Hola Baby, Arlo Baby, or others in our in-depth baby monitor comparison. Of course, these solutions will not provide 24/7 recording and typically record on motion or manually. The iBaby and Hola Baby monitors are also both more glitchy and less secure than the well-known Nest cam. For that reason, plenty of people opt for the Nest Cam over other baby monitors and actually prefer its versatility. @xBrandonDavisx @nest But all in all, we are happy with using a Nest Cam as a baby monitor. The ‘monitor’ is always in your pocket. Nest Cam is a best-seller on Amazon in the Home Monitoring category, largely due its easy set-up and 24/7 streaming capability. This means that all the action taking place in your home is viewable online or from the app. While you will need a Nest Aware cloud storage subscription for a small monthly fee, the fact that it’s constantly recording may be worth the extra cost for some users. Will you try the Nest Cam Baby Monitor for keeping an eye on your little one? Let us know in the comments of our Nest Cam Baby Monitor review. Hey @smarthomesolver, I’m researching traditional video baby monitors vs. Nest/Arlo and appreciated your review here of using Nest for this purpose. I see Arlo Baby does not get great reviews on Amazon. Do you have input on the product? Thanks! 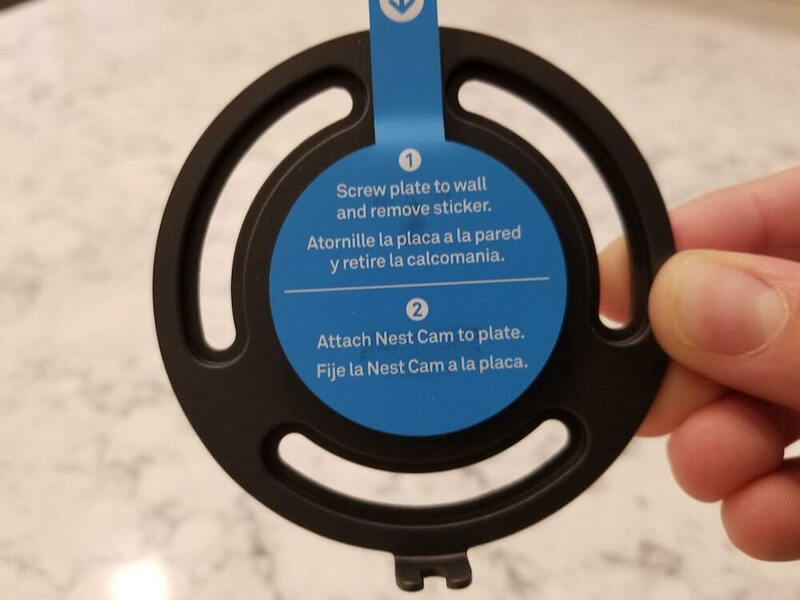 I received a tip from one of my Mommy friends to use the Nest Cam as a baby monitor, and then connect that to the Amazon Alexa Show. The only downside is that the Echo Show times out at about 30 minutes, at which point we have to ask Alexa to “show me the nursery”, time and time again! I love that it is not just limited for use as baby monitor, and can be moved around the house for different things once that option is no longer necessary… I just wish it was truly wireless though, but then the new worry would be about charging it!